As today is a public holiday in switzerland I'm enjoying some time off from work. There is a lot going on right now - tomorrow I'll attend the Energy Fashion Night in Zurich with Mercedes Benz. A big fashion event with runway shows and music acts - it's gonna be a lot of fun. And on sunday I'll leave to Paris with C&A to have a look at their new collection. I am very happy and excited -I haven't been in Paris for quite a long time now. Follow me on instagram @bonsoircherieblog and on facebook - I'll be posting pictures from the fashion night and paris the next couple of days.. 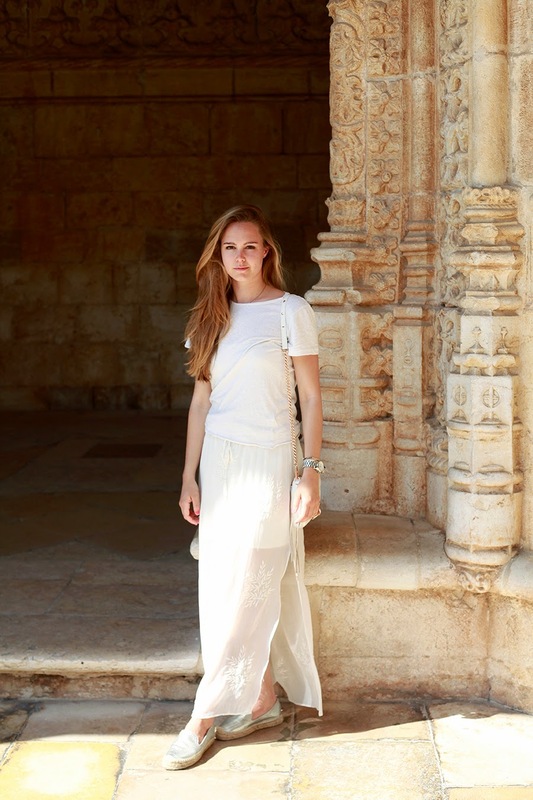 I wore this outfit in Lisbon when we were visiting the Jéronimos Monastery in Bélem. Such a beautiful building with a lot of history. I'd never miss the chance to go inside and walk around - if you keep in mind that the people have built this 600 years ago you can't but be speechless.